html2canvas is a powerful library to convert HTML into a canvas. Canvas created can be used to create PDF or we can simply append in the document somewhere required. 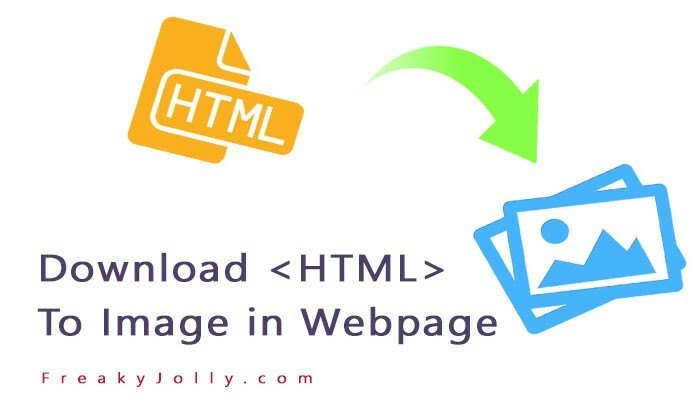 Here we are going to simply convert HTML document or any element into a canvas which we later convert into Image of JPG or PNG type. Step 1) Include HTML2Canvas Library in your project in the head section. Step 2) Call html2canvas method which will take a section of HTML element or full document you want to convert into Image. After these two steps you will be able to see Images in Canvas/ Image created using html2canvas library. Is there a good way to do this for multiple image pages? Maybe using JSPDF with it? is it possible to replace the name of the image (html_image.jpg) by a variable?